Seventeen-year-old 'Black-ish' star Yara Shahidi discusses her experience as a woman of color in Hollywood, eloquently explaining why being a black and Iranian actress is both a blessing and a curse. Would 'Black-ish' star Yara Shahidi meet with President Trump? Larry King: You put that on yourself or they put that on you? Yara Shahidi: I think it’s just collective awareness of the impact of every image we see in media, especially because it controls so much of the narrative that we understand. And so it’s not even something that is put upon me, but just a general understanding of the importance and power of seeing people of color on TV, or any sort of protected class or minority on TV. And the importance of representing. Larry King: Sometimes it can be an edge, isn’t it? 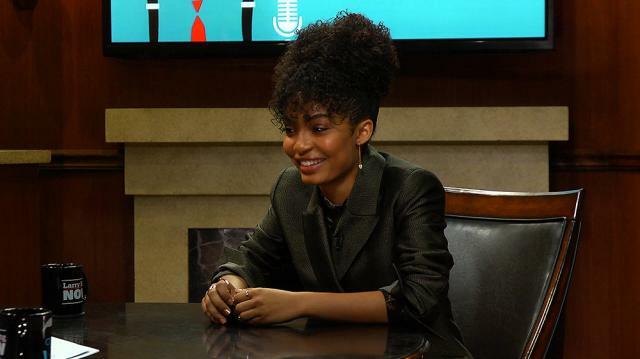 Yara Shahidi: I mean what it has done is really been, has made what I do really intentional, and I think that if anything, it’s given me a more focused path, because I understand the importance of the roles that I’m playing, or the impact that they could potentially have. And so even with characters like Zoey I feel like it’s knowing that that’s prompted us to make her as edgy as she is, or as complex as she is. Larry King: ‘Black-ish’ is a show that maybe couldn’t have, that couldn’t have been on 20 years ago, right?